It was predicted to be a nice day today and the weather did not disappoint. 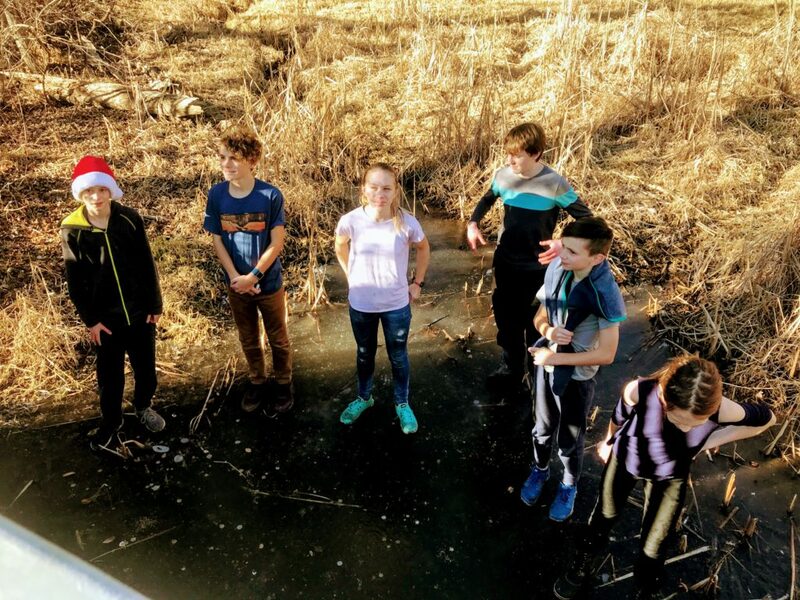 We met up with the Reagens at Greenwood Park for a hike through the woods, playing with the ice on the pond, and then playing at the playground. Everyone loved spending some time outside and enjoying the warm sunshine.